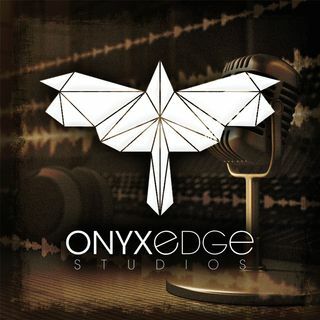 Onyx Edge Studios is a Saint Louis-based group of podcasters and creators. Explicit IT 1990 Miniseries Special! Join Chris Naes and friends as they journey to find the ultimate truth about the world and the many things that it consists of. Bacon, coffee, and cats just scratch the surface. Tim and Sarah discuss and review the long-running, BBC science-fiction show, Doctor Who. Jordan Wakefield shares deep thoughts, has nonsensical conversations and maybe even changes the way you look at life with a little help from his friends and substances to alter the mind. Sam Richardson of #teamsam Personal Training talks health, fitness, and growing old in a brutally honest and hilarious fashion. Co-hosted by Tim Pickerill and Jordan Taylor. In this vlog/podcast hybrid, Tim Pickerill, founder of ONYXedge Studios, and producer on the ONYXedge Podcast Network, takes you with him in as ONYXedge attempts to grow their production value and the network. Chris Naes and guests talk albums. The official podcast of the St. Louis-based independent publisher ShowMe Comics. Hosted by Jordan Taylor, Tim Pickerill and Sam Richardson. Formerly known as "These American Gods." Tim, Sarah, and Mike recap, discuss, and speculate on the Starz Original Series "American Gods" based upon the bestselling novel by Neil Gaiman. The Watchers on the Couch discuss the latest movies. Mike Daffron and Jimmy Lopez discuss the AMC hit series "Better Call Saul." Chris Naes and Debby Hodges discuss the Hulu Original Series "Castle Rock" from Stephen King and J. J. Abrahms. Part of the Watchers on the Couch podcast. Tim Pickerill, Sarah Pickerill and Mike Daffron discuss the HBO Original Series "Game of Thrones"
Tim Pickerill, Sarah Pickerill, and Mike Daffron discuss the HBO Original Series "Westworld." Part of the Watchers on the Couch podcast series.